Although a corrupted message was beginning to infiltrate the Pentecostal movement of the 1920’s and 1930’s in the form of Positive Confession Theology, there were also powerfully anointed ministries raised up to declare the truth concerning the faith. One of the most effectual healing ministries with a true testimony concerning the faith was an offshoot from the ministry of Amy Semple McPherson. This was the ministry of Dr. Charles S. Price. When the street meeting was over a little old lady detained me. “Do you know God wants you?” she said. Suddenly I felt uncomfortable. I am afraid that I was rather rude in the way I excused myself and hurried away. Halfway across the Monroe Street Bridge, I stopped. A peculiar feeling had come over me. I began to feel as if God had spoken to the old lady and a feeling of dread and awe came upon me. Slowly I retraced my steps and I arrived eventually at the mission. On my way to the prayer meeting the next day I met a certain minister. I enthusiastically explained the situation to him and that I was on the way to a prayer meeting. To my amazement he gripped me by the arm and said, “Price, I cannot let you go. You’ll wreck your future-your life. You are young and inexperienced. If you take this step you will regret it as long as you live.” Listening to his voice, I yielded. He pleaded for the chance to show me wherein these people were wrong. All afternoon I sat with him in his study, and when I left he had given me half a suitcase of books that I promised to read. I did not go to the prayer meeting. That was the turning point of my life. With all my heart I believe that God led me to Spokane so that I might step through the open door into the glorious experience that I am enjoying today, but I listened to the voice of a modernist, and by my own act I closed the door. I foolishly turned my back on the Cross and started along the trail that led to the labyrinth of modernism. I very soon got to the point where I could explain every religious emotion from the standpoint of psychology. The result of it all was that I drifted down the long highway that led to modernism. I never gave an altar call – never led a soul to Jesus – never preached the glory of the born-again experience. I was spiritually blind, leading my people into the ditch. I intended to return the following Sunday and blow the whole thing to pieces. As I neared San Jose, a peculiar feeling came over my mind.
. . . pointed to a chair that was empty in the section reserved for cripples. That was where I belonged, but I did not know it at the time. All the way down the aisle I could hear people mentioning my name. My face turned red. I was in the act of kneeling at the altar when the glory of God broke over my soul, I did not pray for I did not have to pray. Something burst within my breast, an ocean of love divine rolled across my heart. This was real! Throwing up both hands I shouted, “Hallelujah!” So overcome was I with joy that I commenced to run across the altar. Dr. Towner followed me and wept for joy! When my hands were up for a little while I felt an electrical feeling staring down my fingers and when it got to my arms, my hands began to tingle and I looked at them and they were shaking. I was surprised, and I couldn’t have stopped if I had wanted to, and I wouldn’t resist the Spirit. Then down it came to my body, glorious, wonderful power; and I suddenly got a whole bolt of glory. Did you ever watch the waves of the ocean as they break and roll and break? A wave breaks and then rolls back and then another wave? Then, with my eyes closed, I seemed to be looking up into the dark. Suddenly like a knife, there appeared in that awful dark, a light and it flashed like a lightning flash across the blackness above my head. The heavens were split and they commenced to fold up until I could see the glory of a light through that opening in the sky. Then as I gazed at that beautiful light, a ball of fire came down towards me; lower and lower it came until it got to the level of the darkness on either side. It began to shoot out darts of fire. Then the ball came down a little lower. It shone so brightly it banished the darkness. I just watched, fascinated and entranced, those tongues of fire. It then touched me on the forehead and I felt a quiver go through my body and then my chest began to heave and I started praising God. The Comforter had come! How easy it was to preach that morning! The glory of God flowed like a river until I could hardly speak for the sobbing of the people. “As long as I am pastor,” I said, “you will hear one burning message from this pulpit – Jesus Christ and Him crucified.” At the conclusion of the sermon I gave an altar call. To my amazement over eighty people knelt at that altar. My own church people were hungry for more of God. We commenced to hold meetings and multiplied the number of prayer services. The power of God commenced to fall. Attendance reached the thousand mark and the church auditorium and the Sunday school rooms would be full of praying people. People came from neighboring cities. Dr. Price’s church became a catalyst for a growing Pentecostal revival throughout the city of Lodi that did not diminish until higher church authorities began to interfere. 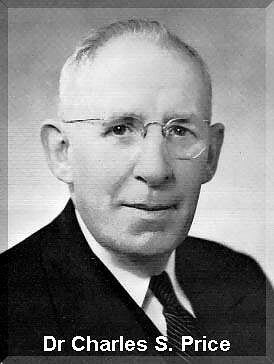 On August 17, 1922 he bid a sad farewell to his Lodi congregation and commenced a career as an itinerant evangelist. 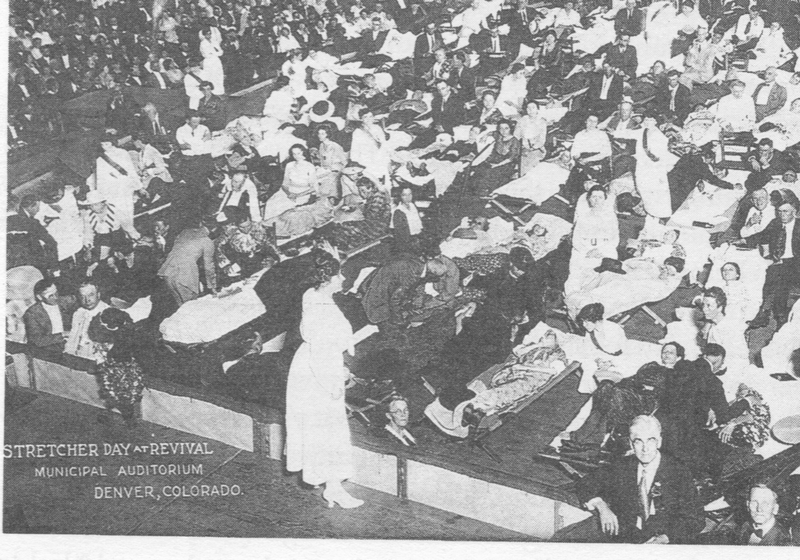 Price’s first evangelistic campaign was to the city of Ashland, Oregon where an auditorium was rented with a seating capacity larger than the city’s population. As he preached to overflowing audiences, the power of God fell on the people. In fact, the first person he prayed for was both healed and fell under the power of God. This made him fearful, but when those that had fallen stood back up proclaiming they had been healed, he was encouraged to continue. “Scores and scores would be prostrated under the power at one time.” God’s power was evident as he preached up through the Pacific Northwest into the Canadian cities of Victoria and Vancouver. His Vancouver meetings drew a quarter of a million people over a mere three weeks. One particularly well known incident there was the healing of Rev. W.J. Sipprell whose large goitre disappeared on stage before the eyes of all as Price prayed for him. The healing of Ruby Dimmick from curvature of the spine seemed to awaken the province of British Columbia. 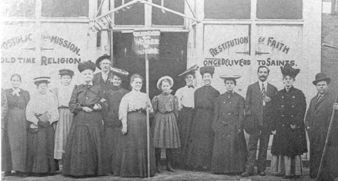 After Vancouver, Price campaigns were held throughout Canada and the upper Midwest drawing phenomenal crowds and resulting in powerful demonstrations of the power of God. 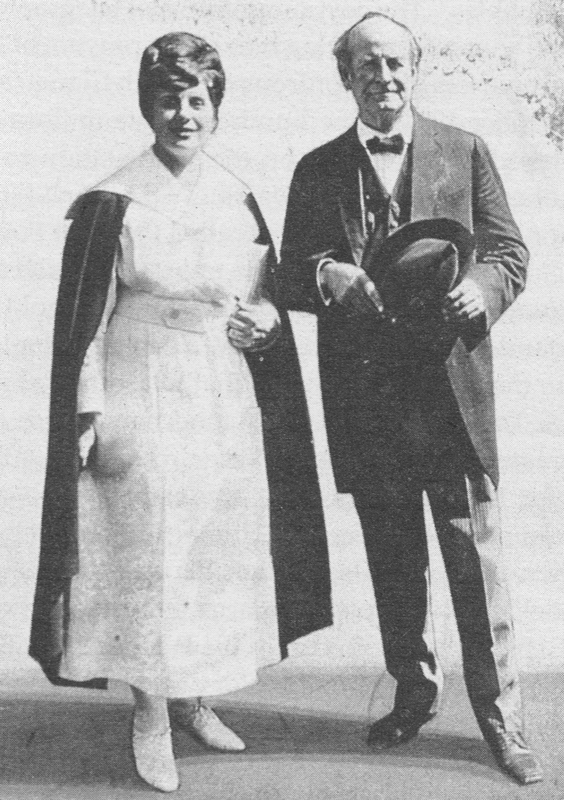 Dr. Price would go on to preach in the power and demonstration of the Holy Spirit throughout the world, until his death in 1947 at the age of 60. During the 1920’s and 1930’s (through newly itinerant ministries such as F.F. Bosworth’s) the Pentecostal movement was subjected to the influences of the distorted theology of E. W. Kenyon known as Positive Confession, which presented Faith as a principle through which men may utilize spiritual means to manipulate the material realm for earthly ends. If any Pentecostal ministry was effective in combating this doctrine, it would have to be the ministry of Dr. Charles Price, who eloquently described the true principle of faith in his best known book entitled, The Real Faith. The crowds were shouting because of some who were healed; but I was weeping because of those people who dragged their tired, sick bodies back to their homes – just as needy as they were before they came into the services . . . Why were some healed in such a miraculous way, and others dismissed with an appeal to keep on believing . . .? . . . There are thousands and thousands of these miracles; and they prove conclusively that Jesus is really the same yesterday, today, and forever. Not that we should rely upon experience to prove the Word, but it is blessed indeed when we can see manifestations of answered prayer. Yet, from those meetings, I have gone home with the faces of poor supplicating people haunting me. I have seen them do their best to rise from the wheel chair, only to sink back again in sorrow and disappointment. I have been moved by the groans, cries, and intercessions around altars, until they have lingered with me for days after the services were over.
. . . when we try to believe ourselves into an experience, we are getting into a metaphysical realm. But faith is spiritual . . . warm and vital . . . it lives and throbs; and its power is irresistible, when it is imparted to the heart by the Lord. It is with the heart that man believes unto righteousness. Heart belief opens the door of communication between us and the Lord and a divinely imparted faith becomes possible. The mistake with many people has been that they have confused their own ability to believe for the faith which is of God. To sit down and repeat over and over – I am healed – I am healed is not only unscriptural, but extremely dangerous spiritually. Price stressed that faith is simply not intellectual. Rather it is “the deep consciousness divinely imparted to the heart of man that it is done.” Price provides accounts of various persons who came to him for prayer, many of whom he could see before ever praying for them whether or not they possessed the faith to be healed. When I looked at his face, I knew the miracle had happened. Into his heart there had come not only the conscious knowledge of sins forgiven, but a manifestation of the sweetness and love of God which had made him a new creation in Christ Jesus. 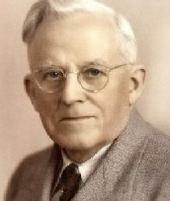 Dr. Price told such accounts as these in order to show “the difference between human effort to believe, and the faith that is the gift of God.” He noted how much better, and more scriptural, it is to wait until Jesus of Nazareth passes by and speaks the word of faith to the needy heart, than to mistake our belief in healing for the faith which He alone can give. Price explained that faith is not something within the man to invoke and to operate, but true faith is the province of Christ alone. Do you not see how foolish we are to struggle, and to try to believe mentally, when we ought – according to the Word – to believe spiritually? There will be head belief, for the mind will acquiesce; but the renewed mind will say “Amen” to all the works of grace, by faith. Fundamentally, faith is born in the heart. The heart will accept the unreasonable. It believes what the mind says is impossible. It counts the things that are, as though they were not; and the things that are not, as though they were. In an era when doctrinal disorder and spiritual presumption began their inroads into the Pentecostal movement, God provided the movement with an anointed teacher on the subject of Faith. Dr. Price’s book, The Real Faith is a much under-read classic which may prove of tremendous benefit to this present generation, much in need. Taken from article: The Story of the Conversion and Healing Ministry of Dr. Charles S. Price as Told by Himself (Installation I) from the Voice of Healing (magazine) issue date December 1952 at pg. 2. Taken from article: The Story of the Conversion and Healing Ministry of Dr. Charles S. Price as Told by Himself (Installation II) from the Voice of Healing (magazine) issue date April 1953 at pg. 12. This entry was posted in 3D. POSITIVE CONFESSION (Application to Pentecostal Theology) and tagged Amy Semple McPherson, Charles Price, Dr. Charles S. Price, E.W. Kenyon, Positive Confession Error, The Real Faith. Bookmark the permalink. These Teachings are the blessing to the Body of Christ Jesus.